I knew I would enjoy the context of the story from looking at the description, reading other reviews and talking to a friend. 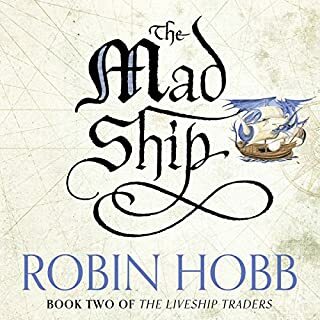 What I found particularly enjoyable was the complexity of the characters in this fantasy novel, the way that all characters have depth and mixtures of pleasant/interesting/unpleasant characteristics. I found the narration difficult. When I first started listening it sounded like 'text to speech' with perfect diction and monotony. I still enjoyed listening but I would have greatly preferred a more natural speech rhythm with more lively inflection.